The summer of football is here and to get you in the mood we’ve created our guess the first goal competition! It’s really simple to play; all you need to do is correctly guess the minute of the first goal for each England game. You’re only allowed one guess per game, If you’re already following Pretty Green on twitter you’re ready to start guessing, if not a follow takes less than a second. Once you have followed us on Twitter click the button below and fill in your guess. We’ll announce the winner the day after each match. In the case that multiple competition entries guess correctly, one lucky winner will win the ultimate prize, runners up will receive a 10% discount code. It’s free to enter so make sure you tell all of your mates to get involved as we’ve got loads of top Pretty Green prizes to give away! 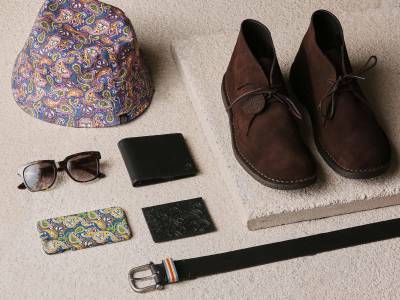 Win a £250 gift voucher* to spend online at www.prettygreen.com. Win a retro sports pack consisting of a limited edition paisley football, navy track top, white pique polo shirt and a pair of white pumps. Win a £250 gift voucher* to spend at your nearest Pretty Green store with personalised shopping experience. *Terms and Conditions: This competition is in no way affiliated with FIFA, the World Cup or any of its sponsors or affiliates. To take part in the competition you must be following Pretty Green on twitter (www.twitter.com/prettygreenltd). After a game begins, no further entries are allowed. Scores will be updated within 24 - 48 hours. Pretty Green Ltd. reserves the right to deny winning entries if they are deemed to be fraudulent. Failure to meet eligibility requirements may result in an entry being invalid and/or forfeiture of the prize. The competition will use BBC goal times to determine winners. Winning entries will be notified via direct message on Twitter. If you have won please allow up to 72 hours to receive confirmation of your prize. Pretty Green Ltd. reserves the right to change these Terms and Conditions at any stage during the competition. The £250 online gift voucher prize is a gift voucher code redeemable at http://www.prettygreen.com only. 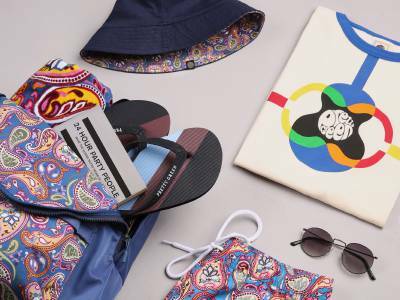 The 10% off discount code is redeemable at http://www.prettygreen.com only. Discount codes can be redeemed once on full price items only and cannot be used with any other offer or promotion. It cannot be used at Pretty Green stores, concessions or third party department stores. You may use this voucher to pay in-full or in-part for any item, except for Gift or E-Vouchers. If the cost of the item purchased is less than the value of the gift voucher, the unused balance will be redeemable on future purchases. The gift voucher code will expire after 6 months from the date of prize confirmed. All refunds/exchanges of goods purchased with the gift voucher code will be made in accordance with Pretty Green’s refund policy. This does not affect your statutory rights. We reserve the right to change these terms and conditions at any time and without notice. The most up to date terms and conditions will be available on the Pretty Green website.